The Journey and Alex Hunter return again in FIFA 19. This year, the mode features three different stories featuring Alex Hunter, Danny Williams, and Kim Hunter. The three stories occur at the same time while intertwining, also allowing users to switch between the three at any time. With Kim's storyline, it appears that the women's national teams included in the game will be featured/included within the mode. 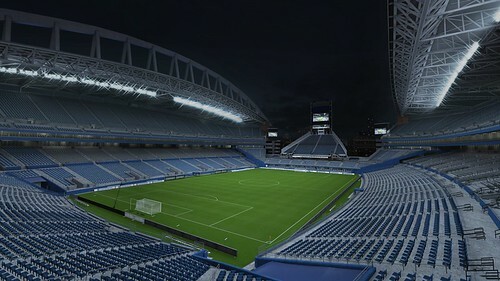 In order to increase detail depth and accuracy, FIFA 19 will be adding 16 accurate LaLiga stadiums and over 200+ new facescans. In addition, the LaLiga broadcast from FIFA 18 returns. EA SPORTS has announced that a free 2018 FIFA World Cup Russia content update will be coming to FIFA 18. 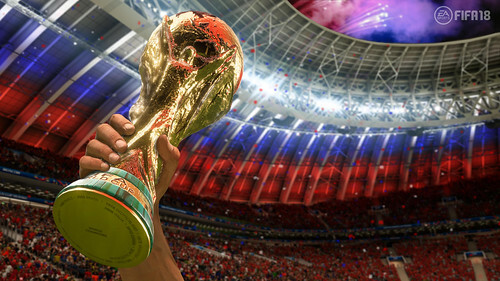 Among the new content coming as part of this add-on include official World Cup presentation and broadcast elements, new player scans, 12 new licensed stadiums, and more. Game update 1.08 is now available for EA SPORTS FIFA 18 on PS4, XB1, and PC. The update addresses issues in gameplay, FIFA Ultimate Team, Weekend League, online modes, and presentation. EA SPORTS has announced that Cristiano Ronaldo will be the global cover athlete for EA SPORTS FIFA 18, available September 29. 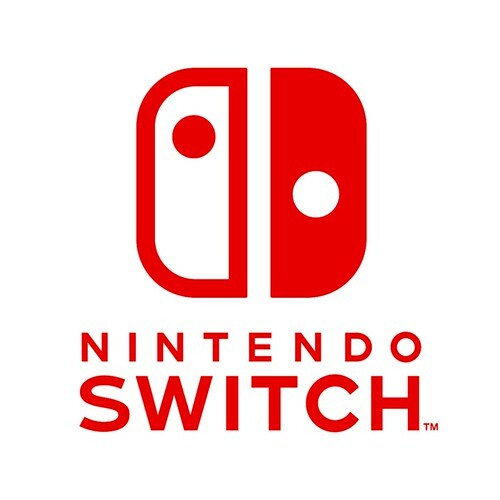 There will be three versions of the game: standard, Ronaldo, and ICON. 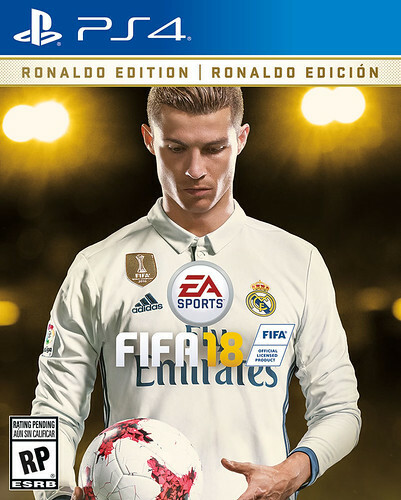 Those who pre-order the special Ronaldo or ICON versions will be able to play the game three days early on September 26. Game update 1.08 is now available for EA SPORTS FIFA 17. The update focuses primarily on Ultimate Team, visuals/presentation, along with a few gameplay changes. EA SPORTS FIFA 17 Title Update #4 is set for release on PC, with the PS4 & XB1 versions in the near future. The update includes fixes/improvements across gameplay, FIFA Ultimate Team, Career Mode, and Visuals/Presentation. Courtesy EA SPORTS: FIFA 17 Demo now available on Xbox One, PlayStation 4, PC, Xbox 360, and PlayStation 3. Be the first to try FIFA 17 The Journey, powered by Frostbite, where you live your story on and off the pitch on Xbox One, PlayStation 4, or PC. Play Kick Off with 12 world class clubs including Manchester United, Real Madrid C.F. and FC Bayern Munich. 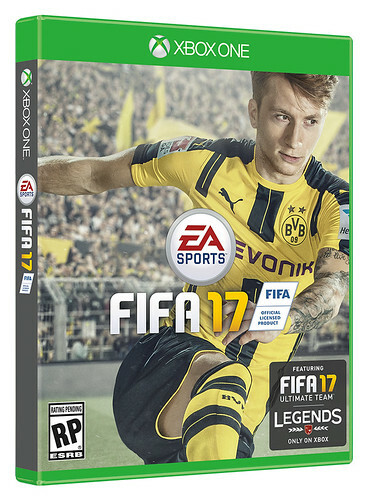 Borussia Dortmund's Marco Ruis has been announced as the FIFA 17 global cover athlete. Ruis was the winner of a public cover vote against fellow FIFA 17 ambassadors James Rodriguez, Anthony Martial, and Eden Hazard. Ahead of EA Play (EA's new standalone event during E3), the company has released a teaser trailer for FIFA 17 entitled 'Football has changed.' The video confirms the inclusion/switch to the Frostbite Engine and it is believed that all EA SPORTS titles will be changing to Frostbite in the immediate near-future. Disclosed as part of the trailer reveal are four new football ambassadors: James Rodriguez of Real Madrid C.F., Anthony Martial of Manchester United, Eden Hazard of Chelsea FC, and Marco Reus of Borussia Dortmund. 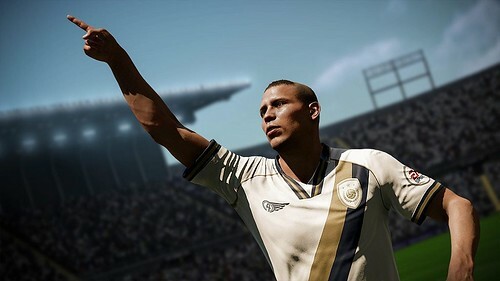 One of the long-standing complaints regarding the FIFA franchise has been that Career Mode has lacked the same major improvements or features that have gone into other game modes, such as FIFA Ultimate Team. 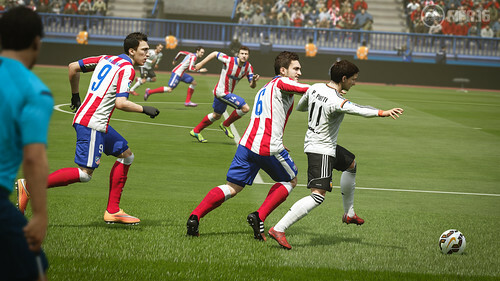 At Gamescom 2015, the FIFA team has announced some significant new features and improvements coming to FIFA 16's Career Mode. Pre-season Tournaments allow your squad to play in three of nine available tournaments and are designed to let you work on your team tactics and line-ups before the start of the regular season. The prize purse from these tournaments gets allocated to your transfer budget for the upcoming season. Player Training - Each week, select up to five squad players to train from a number of training drills, each focused on developing specific attributes. Improve your starting line-up or build up youth players to increase transfer values. 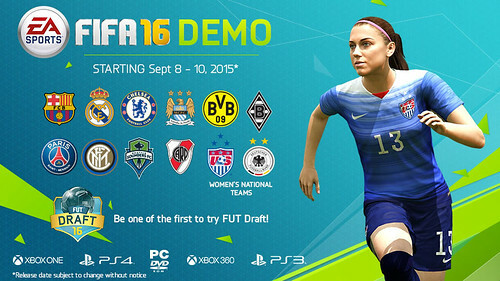 The FIFA 16 demo launches on September 8 and will contain a bevy of game modes and teams. 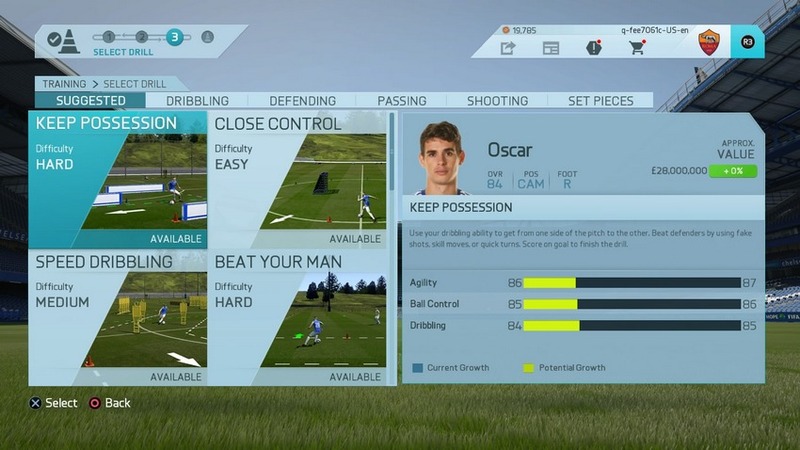 The demo will allow new or inexperienced users to hone their skills with FIFA trainer along with new skill games. Players will have 12 teams to choose from for kick-off games, including the U.S. and German Women's National Teams. Finally, users will be able to try out FUT Draft by building a squad and playing in an offline match. September 8 will be a busy day for EA SPORTS. 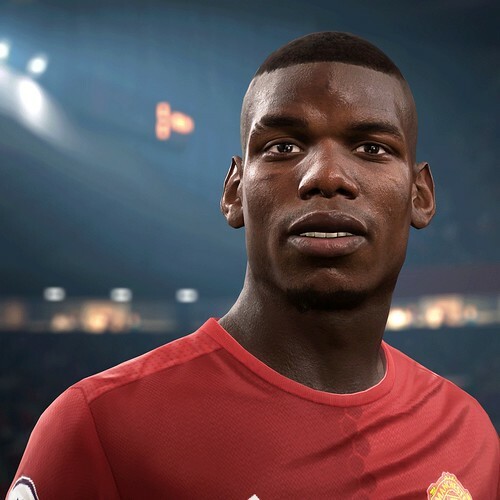 Not only is the FIFA 16 demo available that day but so is GameFaceHD, the face-scanning app for use in NBA LIVE 16. Improvements to game presentation and atmosphere are highlighted in a video narrated by FIFA 16 Senior Art Director Matt Jones. 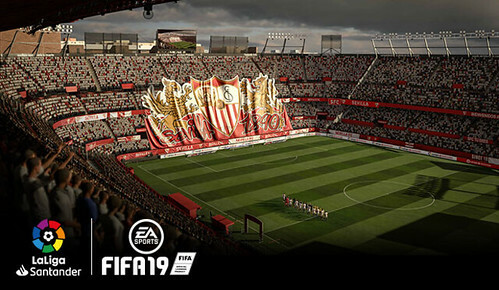 The majority of improvements have been noted in the past, including the addition of Women's National Teams, nine new stadiums, hundreds of new facescans, vanishing spray, and more. However, this video is a great way for people to catch up on presentation news should they not keep up with info on a regular basis. 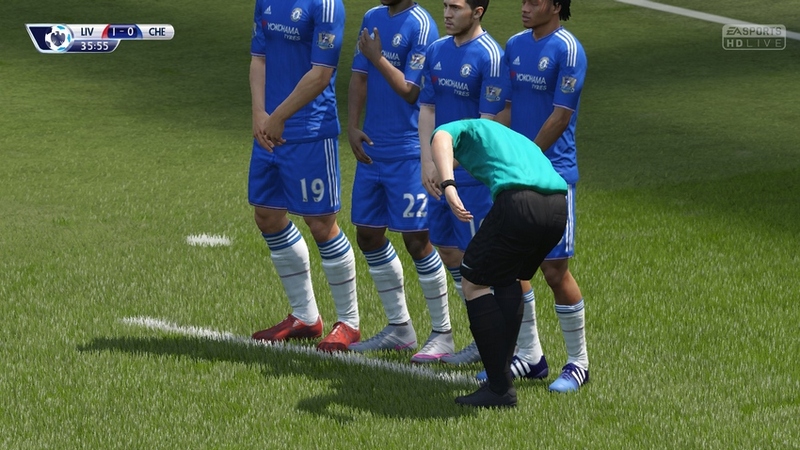 FIFA 16 continues to build upon broadcast style realism and presentation aspects with a bevy of improvements as announced during Gamescom 2015. The German Bundesliga league will have its own authentic overlay package identical to that shown during broadcast matches. Over 450 players - including legends and women's national teams - will have facescans in the game to aid in realism. Other improvements include the addition of 900+ chants, new weather conditions, vanishing spray, improvements to commentary and more. 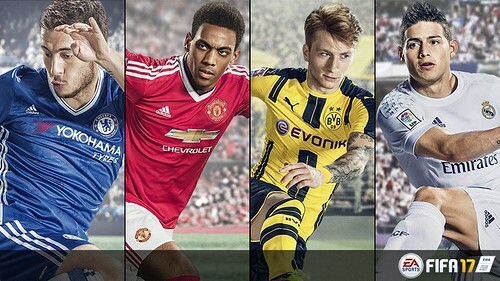 During GamesCom 2015, EA SPORTS FIFA announced FUT Draft coming to FIFA 16. Similar to Madden NFL's Draft Champions, this mode allows users to quickly create a team and then compete with them online for a chance to win FIFA Ultimate Team packs. 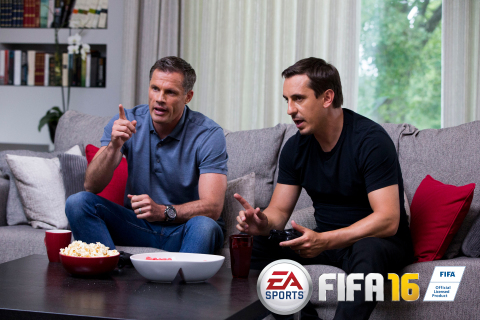 EA SPORTS FIFA 16 will feature nine new stadiums in this year's edition. The nine stadiums include: BORUSSIA-PARK, Carrow Road, CenturyLink Field, El Monumental, Fratton Park, King Abdullah Sports City, Stade Vélodrome, Vicarage Road, and Vitality Stadium. The inclusion of Fratton Park is in honor of Simon Humber, creative director of the FIFA series, who passed away earlier this year following a battle with cancer. Humber was a passionate fan of Portsmouth FC and in tribute to him the FIFA team included Fratton Park stadium in FIFA 16. 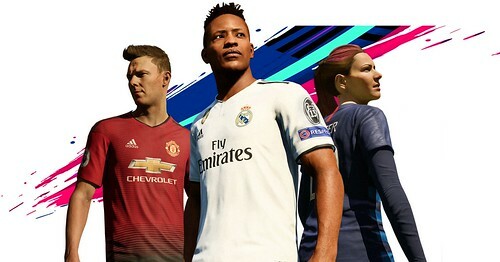 Electronic Arts and Real Madrid have signed an exclusive three-year deal making EA SPORTS the official videogame partner of the Spanish club. 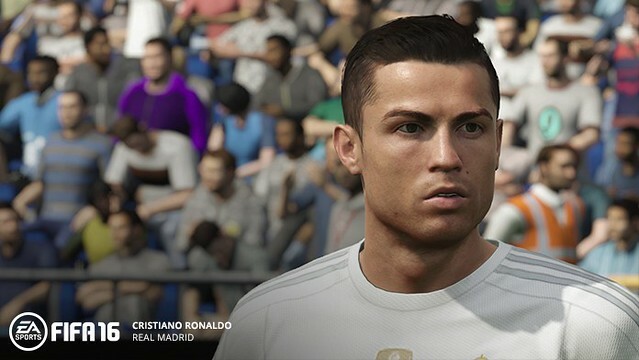 FIFA 16 will feature updated 3D head scans of fourteen of Real Madrid's most popular players, including Cristiano Ronaldo, James Rodríguez and Karim Benzema. 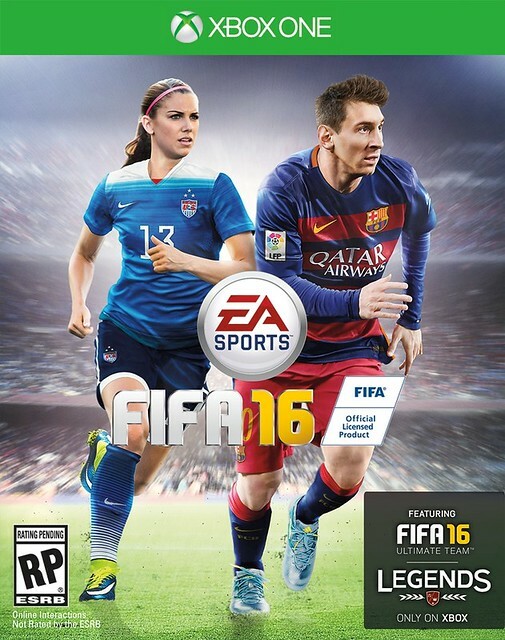 In North America, US forward Alex Morgan and Canadian captain Christine Sinclair will share the cover of FIFA 16 with Lionel Messi in their respective countries. The choice is no surprise given the inclusion of women's national teams coming to the game.